It just amazes me that our Father God is so majestic and yet so merciful. And powerful but at the same time personal. He truly speaks and acts in our lives tenderly, deliberately, and individually. I’m sure of this because I experience how He teaches me patiently when I need to learn the same lesson over and over again. And how He continually points me back to His voice and His purposes when I’m prone to wander or wallow in discouragement. Sometimes through different circumstances or various people, the same messages will coincide, and I’m certain it’s not a coincidence. It’s graduation season, and whenever I attend a commencement ceremony, I look most forward to the speaker’s address to the graduates. The message is usually filled with inspiration, challenge, and vision. After all, the word “commencement” means “beginning.” It’s obviously an occasion to congratulate the graduates on their accomplishments but it’s most importantly a time to direct their energies and hopes toward the future. 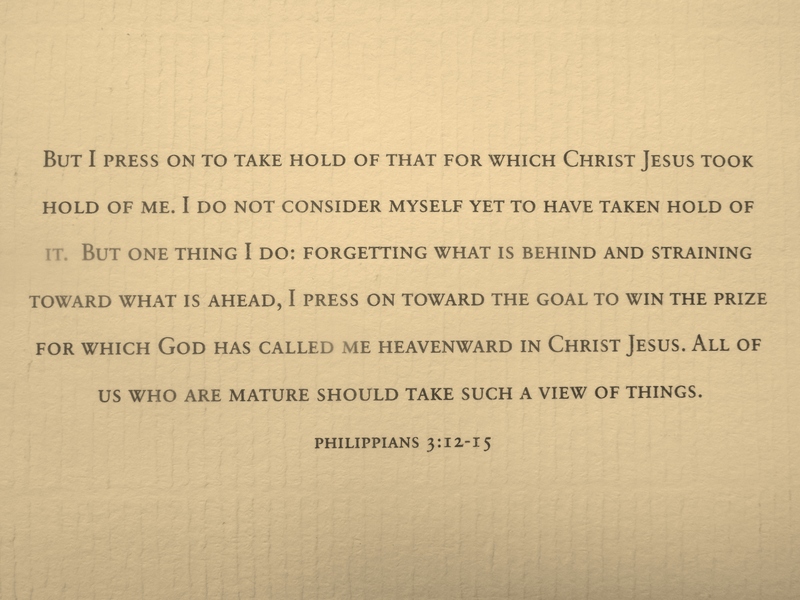 “But one thing I do: forgetting what lies behind and straining forward to what lies ahead I press on toward the goal for the prize of the upward call of God in Christ Jesus” (words of the Apostle Paul). As the big day drew near, I mediated on this passage and prayed that my heart and mind would be focused not upon worldly success or gainful employment but upon the upward call of God in Christ. I wasn’t sure what this would look like in terms of future ministry. I was receiving a degree in Christian counseling, yet I was pretty certain that God would use my training in unexpected ways. Unlike most of my classmates, I didn’t feel lead to pursue the path toward counseling licensure and practice. I wanted to go out into hospitals, nursing homes, and crisis pregnancy centers, perhaps serving in a way similar to a chaplain. Hmm. Thousands of dollars and countless hours of work. A waste. Geez – not the most cheery thought as I walked toward my diploma! For me, it was the sweetest moment of affirmation. The Word doesn’t say “press on to the most logical step” or “press on toward what makes you professional and significant” or “press on toward a job.” No, the Holy Spirit reminded me that my goal is the prized upward call of Christ. Certainly my classmates, in their pursuit of becoming Christian counselors, were also seeking God’s will and His Kingdom purposes. Having received the same rigorous training, I highly appreciate and respect their very important ministries. But the call of Christ for me was to be different, and in that moment God reassured me that it was good. 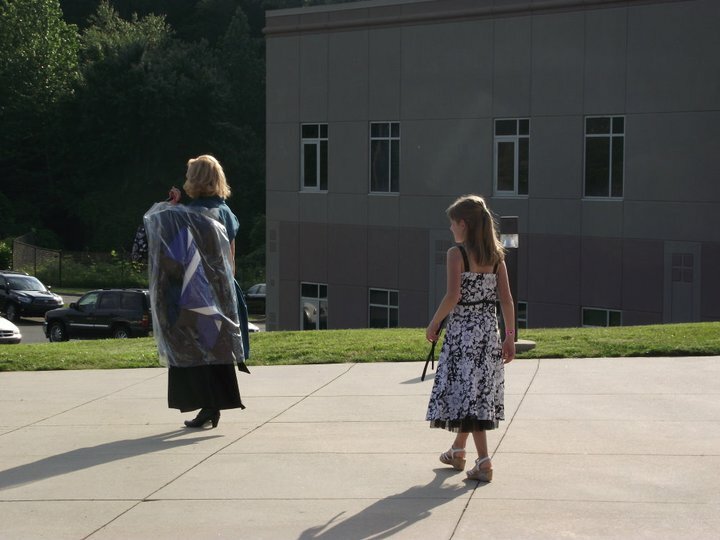 Underneath the uniform black robes and silly hats, all of us graduates were created uniquely for God’s personalized plans. The prize lies wherever Christ’s love compels us. It may be in a counseling practice, the backstreets of town, an orphanage in China, your kitchen, a Bible study, your office, the yard that connects you with your neighbor, or a nursing home. When Christ’s love compels you and you go, nothing is wasted. I think about that as I drive home, having congratulated my friend and having spoken with several familiar people who asked, “So, what are you doing now?” With all honesty, I replied that I happily love my family, serve my church, and volunteer at a hospital and a nursing home. Only one person asked why I’m not using my training. It doesn’t really bother me. I’m slowly learning that while a paid position could be really nice, it doesn’t validate me or my degree. God doesn’t use a measuring stick. The same is true for you. God’s love and purpose for you doesn’t depend on what you have or haven’t accomplished. As Theodore Roosevelt said, “Comparison is the thief of joy.” When Christ’s love compels you and you go, it’s joyfully significant. My sweet husband and I trust that one day we’ll see an eternal return for our investment. There are days when I struggle with discouragement or selfish motives. I am a “Martha” (Luke 10: 38 – 42) at heart, and Marthas often try to find their significance from what they do. But Jesus calls out the “Mary” in me – the heart of devotion and worship for what He has already done. Jesus said that this is “the one thing needful” (verse 42). Notice that Paul said, “This one thing I do…” His one thing, his focus, his purpose was in living his values – supremely the Love of Christ. When we truly live out what we value, I believe that the prize is discovering the freedom, simplicity, and significance of God’s personal call upon our lives. I’ve been blessed with an incredible opportunity to stay at home with my girl, love on my husband and our parents, and serve in ministry with amazing people in my church and community. Perhaps there will be different seasons with different opportunities, but I’m cherishing this one. And when another season comes, I’ll continue to look forward to the prize of God’s call and go where Christ’s love compels me. God is so mighty and merciful – so powerful and personal! Sometimes the same messages will coincide, and I’m certain it’s not a coincidence. 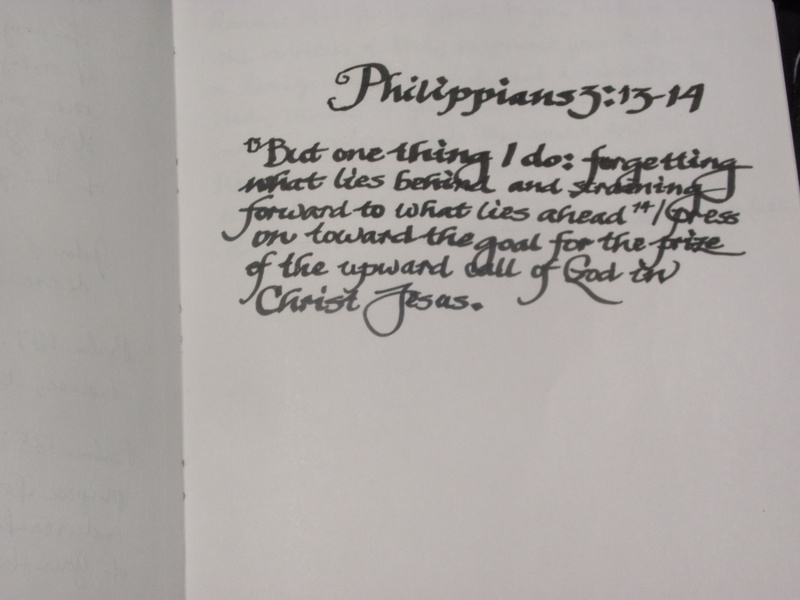 This entry was posted in Eternity in Our Hearts, Following Christ and tagged Faith, future, Graduation, Perspective, Significance on May 21, 2013 by Renee Ratcliffe.